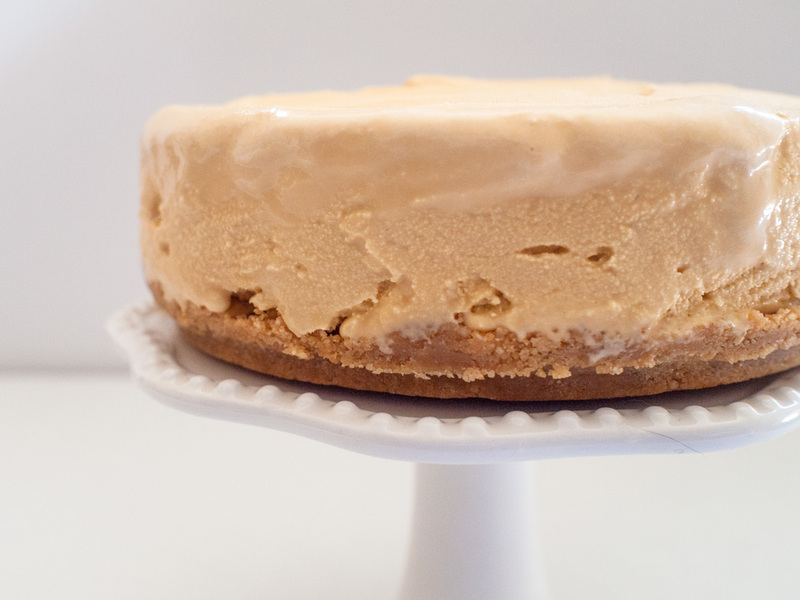 Ice cream cake was originally made from biscuits and cream. Victorian era desserts called bombes consisted of ice cream and fruit in decorative molds. Sometimes these desserts were lined with cake or biscuits. Yields a 6” ice cream cake. 1) Line a 6 inch springform pan along the bottom and sides with plastic wrap/cling film. In a bowl, combine crumbled shortbread with the melted butter. Using a fork, incorporate the butter with the shortbread until it is well blended. Press into the base of a 6 inch spring form pan. Refrigerate. 2) Leave ice cream out of the refrigerator for 15 minutes to soften. Scoop 16 oz of ice cream out and onto the shortbread base layer. Ensure the ice cream is compacted so there are no air gaps in the cake. Smooth out the top with the back of a spoon or offset spatula to give the cake a finished look. 3) Freeze for 3 hours or until ready to serve. Unfasten springform clip and remove plastic wrap, slice while still frozen. Serve with whipped cream and caramel sauce. 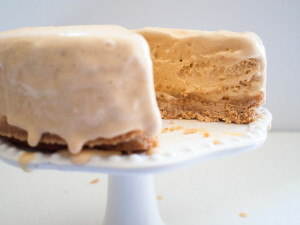 This entry was posted in Blog, Uncategorized and tagged cake, caramel, ice cream, Shortbread.